Over a dinner of grilled sirloin and Malbec wine on the 2 December 2018, Donald Trump and Xi Jinping struck a deal worth $200 billion. 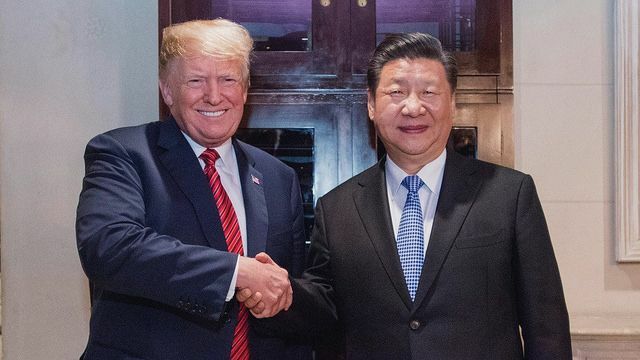 Well, not a deal per se but a truce agreement, which postponed a plan to raise tariffs on $200 billion USD worth of Chinese goods to 25% on 1 January 2019. This encounter at the G20 summit in Argentina marks another milestone in a charade of bilateral trade tensions, disingenuous friendly gestures and big-mouthed statements. How can we make sense of what is happening? Is this diplomatic malaise part of Trump’s large and rationally calculated strategy to protect American businesses and open the Chinese economy? Or is it just the latest evolution of Trump’s attempt to decimate China’s position and slow down its inevitable rise in power? We suggest the latter. To begin, it is necessary to point out that a lot of American criticisms of the Chinese economic model are built on solid foundations. China uses various measures to protect its economy, inhibiting open capitalism, thus precluding fair trade competition for foreign firms. However, it would also be misleading to attribute the latest developments in China–US trade relations to the sole rational attempt to improve business relations. Donald Trump has already declined two previous trade deals between the US and China, and in October 2018 he announced that Washington would no longer engage in talks with Beijing until China agreed to a wide range of conditions including ending the theft of American intellectual property and opening up its economy. Additionally, Trump is presumably aware that any change in China’s behaviour will be extremely difficult and slow. Chinese protectionism is a structural element stemming from China’s communist political system and its reevaluation will require time and significant political will. Trump’s administration is heavily influenced by a China-bashing league of academics and politicians both within and outside the Republican Party. In fact, many signs suggest that Trump’s policies are shaped by different considerations besides reducing trade imbalances. Firstly, he feels pressure from the American public to appear tough on China. Given the preoccupation with his image and the threat posed by the recent decline in his approval ratings, Trump needs an identifiable enemy against which he can differentiate himself. Since the majority of the American population views China as a threat, Trump recognises that this provides an opportunity to exploit these sentiments and gain political support. Secondly, Trump’s administration is heavily influenced by a China-bashing league of academics and politicians both within and outside the Republican Party. Vice President Mike Pence has on many occasions heavily criticised China’s military rise, economic protectionism and human rights offences. 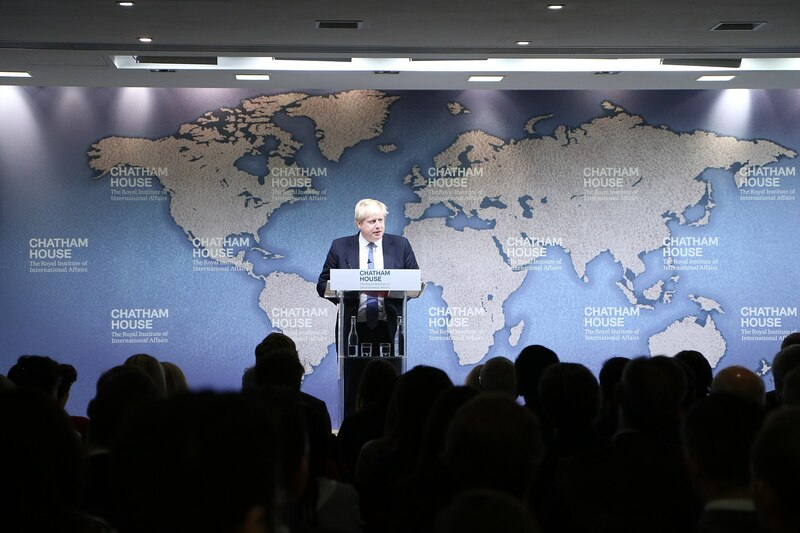 In October 2018, he boasted that after 'decades of weakness', the United States has 'finally taken decisive action to respond to China'. Similar ideas are shared by many other high-level Washington officials and aides, including the National Security Advisor John Bolton, who repeatedly claimed that the rise of China is a 'major challenge in this century', and that its behaviour needs to be 'adjusted not only in economic, but also military and political areas'. There is virtually a consensus in the White House that a hardline approach is the only way to deal with China. Finally, Trump’s earlier actions towards China (such as the Mar-a-Lago meeting in 2017 and his praise for Xi’s personality) have been met with anxiety among both the Republicans and Democrats. The Senate minority leader, Chuck Schumer, has accused Trump of being 'nothing more than a paper tiger' on China. Similar remarks were heard even from across the aisle. For instance, the Republican Senator from Texas, John Cornyn, introduced legislation to increase scrutiny of Chinese investment in the US in 2017, saying that 'it is time to wake up to the mounting risks' to the American economy and national interests. Put simply, there has been a growing feeling across both parties that Trump has failed to deliver on China. Instead of submitting to Trump’s demands, Beijing has initiated a set of response measures including retaliatory tariffs. In this context, it is very difficult to read Trump’s diplomatic thaw with China as the revival of constructive relations. As both parties have strong incentives to continue with their respective strategies, it is likely that tensions will only disappear very slowly. This raises the question of whether Trump’s policy is effective and reliable in the long term. We believe that this is unlikely. Although Trump may achieve minor advances such as getting China to reduce some trade barriers, his preoccupation with his personal agenda and domestic audience is not a solid starting point for true diplomatic breakthrough, as evidenced by China’s reaction. Instead of submitting to Trump’s demands, Beijing has initiated a set of response measures including retaliatory tariffs. Although the favourable economic position of America plays into Trump’s hands (as China probably needs the US more than the US needs China), history has taught us that trade wars have no winners. Perhaps even more importantly, Trump’s tough stance and bilateral approach have corrosive effects on international institutions and the overall norm of cooperation in international relations, especially in a situation where other Asian states who also share the fear of a rising China would prefer cooperative measures to integrate, rather than alienate, the rising power. This post is adapted from a forthcoming article published by the Cambridge Review of International Affairs: A 'pivot' that never existed: America's Asian strategy under Obama and Trump'. Michal Kolmaš is Assistant Professor of Asian Studies at Metropolitan University Prague. He focuses on Japan's society and foreign policy and security in Asia, and has published in journals such as the The Pacific Review and the Japanese Journal of Political Science. His latest book, National Identity and Japanese Revisionism, was published by Routledge in 2018. Šárka Kolmašová is Assistant Professor of International Relations at Metropolitan University Prague. She focuses on human security, international organisations and military interventions. She has published in journals such as Gender and Politics, Europe-Asia Studies and New Perspectives.